Georgetown University Law School (J.D.). 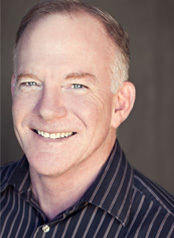 After working for several notable San Francisco law firms, Clyde established his own legal practice in San Francisco's North Beach area in 1984. Since then, his legal practice has focused on litigation, pre-litigation and legal counseling in the areas of real estate, business disputes, trusts and estates, and construction. Clyde is a member of the State Bar of California and is licensed to practice before all of the courts of the State of California, and in the Federal courts of the Northern and Eastern Districts of California and the Ninth Circuit Court of Appeals. He has been admitted to practice pro hac vice in the Federal courts of Hawaii, Georgia and Maryland. Clyde is also a member of the Contra Costa County Bar Association and a master member of the Robert G. McGrath American Inn of Court. In our community, Clyde has served for many years as Chair of the City of Lafayette’s Code Enforcement Appeals Hearing Board. He is President of the Lafayette Improvement Association and a Board Member of Open Gate, Inc.
LONG LAW OFFICES. Located in Walnut Creek, CA in the East Bay, serving Alameda County, Contra Costa County, the San Francisco Bay area, including Lafayette, Walnut Creek, Moraga, Orinda, Pleasant Hill, Alamo, Concord, Martinez, Oakland, Berkeley, Piedmont, Danville, Alameda, San Leandro, San Ramon, Castro Valley, San Francisco, Dublin, Pleasanton, Livermore. In order to establish an attorney-client relationship and provide legal advice to a client, an in-office consultation and a written and signed Agreement for Professional Services is required. © 2019 Long Law Offices. All rights reserved.